Blender mix all the ingredients to a smooth consistency. Pour into two glasses of the kind Hurricane and decorate with pineapple slices. 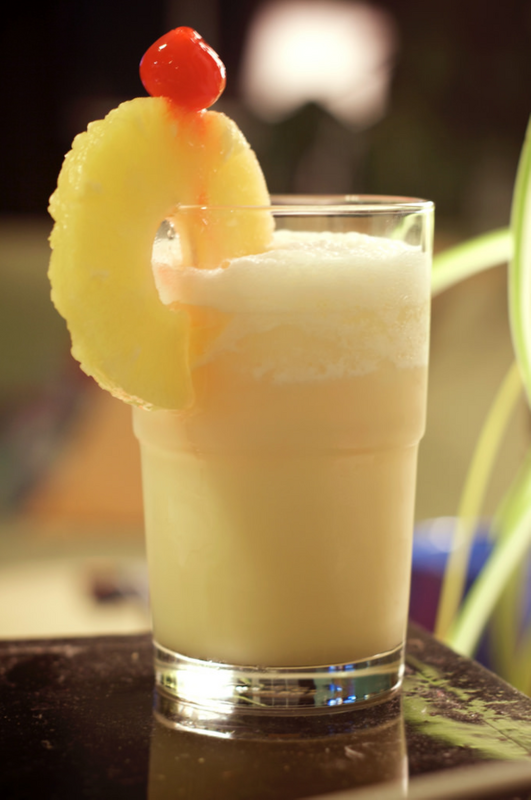 By the way, you can serve the drink directly in the pineapple , after cutting out the pulp from it.